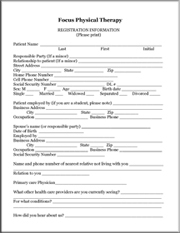 To save time, you may print and fill out our new patient paperwork before your first appointment. Please then bring this paperwork to your first visit to our office. If you prefer to complete the forms at our office, please arrive 15 minutes prior to your scheduled appointment time.